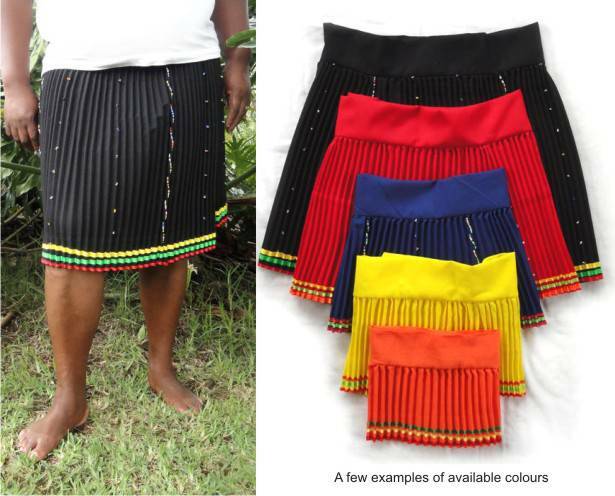 Wrap around pleated Zulu skirt. Decorated with Zulu beads down the skirt and with ribbon along the hem. Available in a variety of colours. Recommended hand wash only. Unless otherwise requested you will receive a mixture of colours.